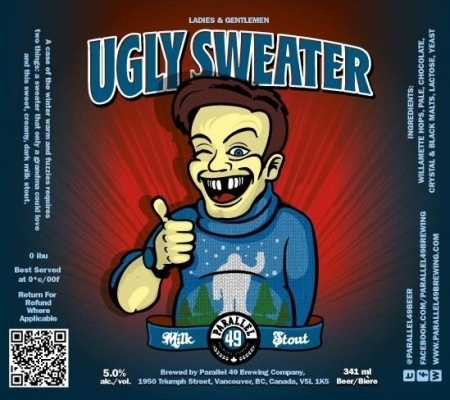 I have decided to revisit one of my favourite blog topics, the art of the beer label, this time with an eye to what the creative brewers in British Columbia have chosen to adorn their bottles. Not surprisingly there is a huge range of styles and themes chosen to represent the beer within. So let’s take a look at just a few of the bottles from our beautiful province and see if we can discover what the labels tell us about the brewery. 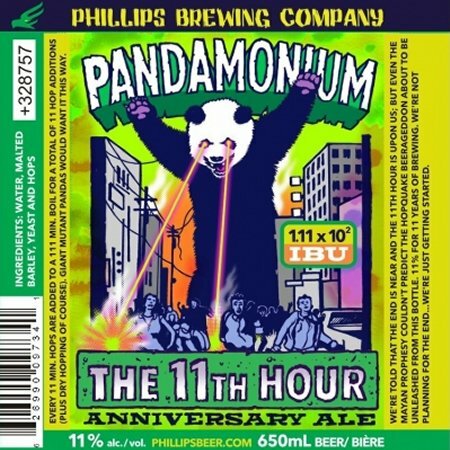 Phillips Brewing Company seems to employ every style under the sun and every colour in the spectrum when it comes to their beer labels. 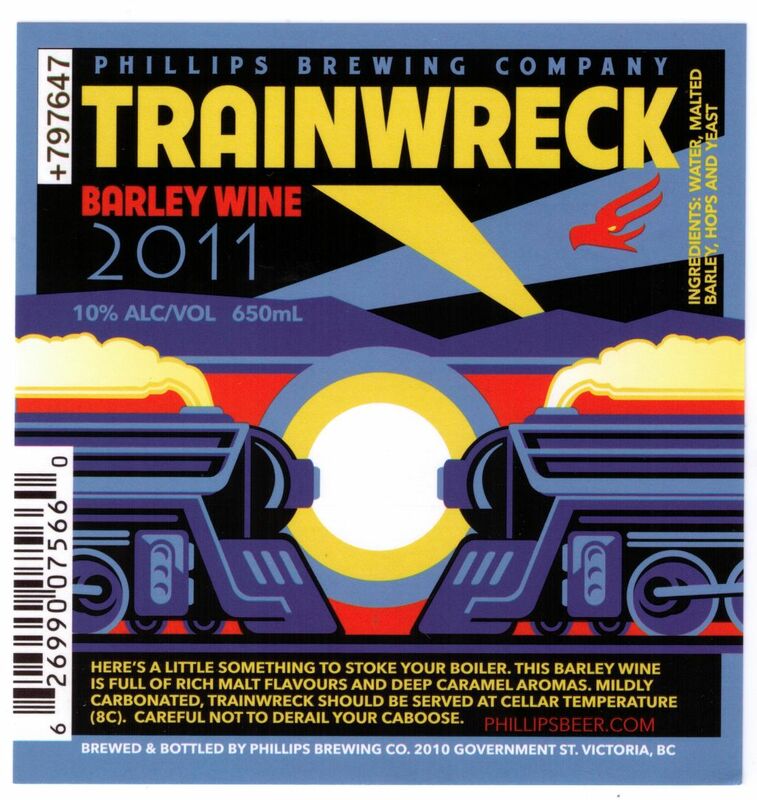 One thing with the Phillips labels, though artistic, they do not always feel reflective of the beer you are about to drink – Train Wreck for instance, with its’ Deco imagery, feels like it would be more at home on the cover of an Ayn Rand novel than a barley wine. Always inventive, if busy, I tend to feel like I love em’ or hate em’ when it comes to Phillips labels. 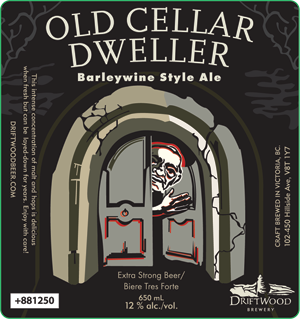 Driftwood Brewery tends to mix-it-up now and then with their labels moving from the naturalistic palette and colours employed in their standard lbeer line-up to more cheeky or edgy takes on their seasonal beers. Driftwood does a really good job of reflecting the beer style in the label. 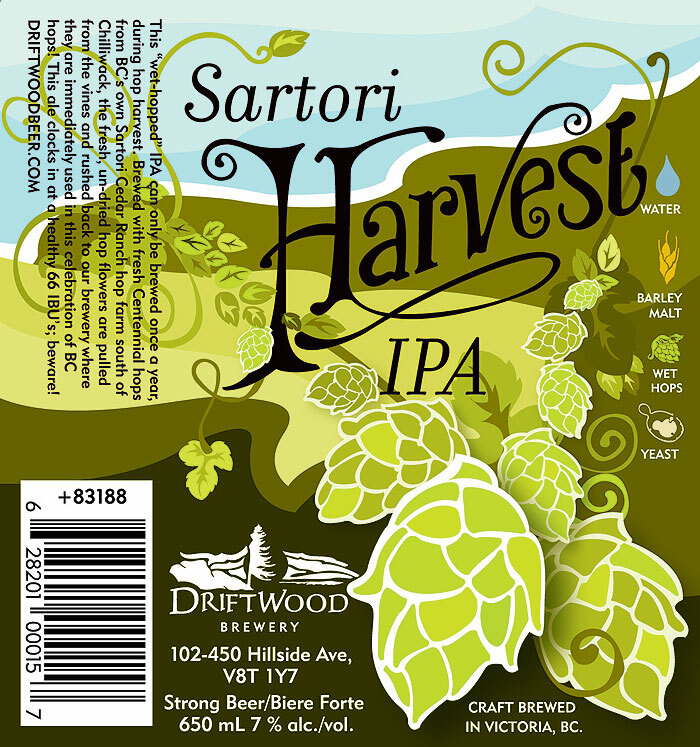 Personally, I think the Sartori harvest label is one of the nicest labels around. 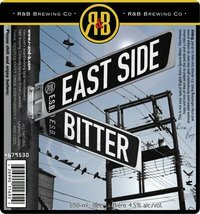 R&B Brewing Co. is another brewer that seems to employ a ‘do what you feel’ kind of attitude when it comes to their labels arguably with mixed results. One of the tough things for me is the colours and style of the R&B logo always seem at odds with the rest of the graphics. 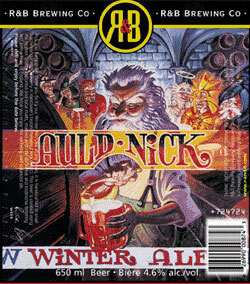 That being said I really like their seasonal Auld Nick label. 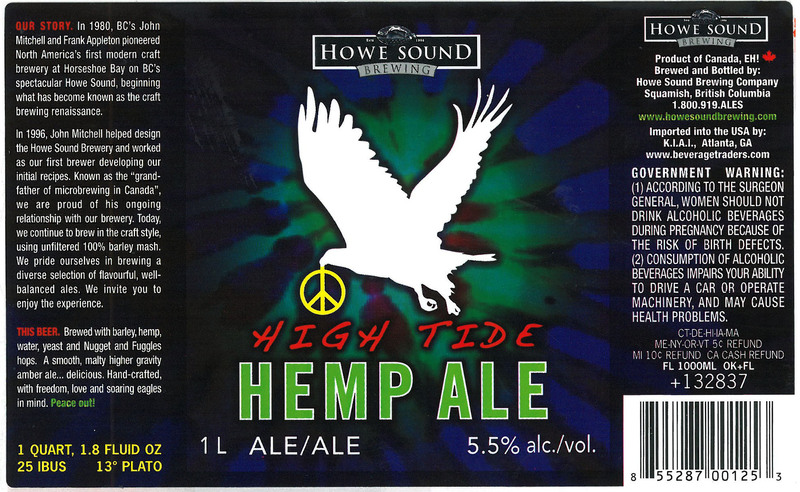 I have to admit I usually do not get what Howe Sound is going for with their labels aesthetically. I mean, I get the literal interpretation of the beer name, i.e. 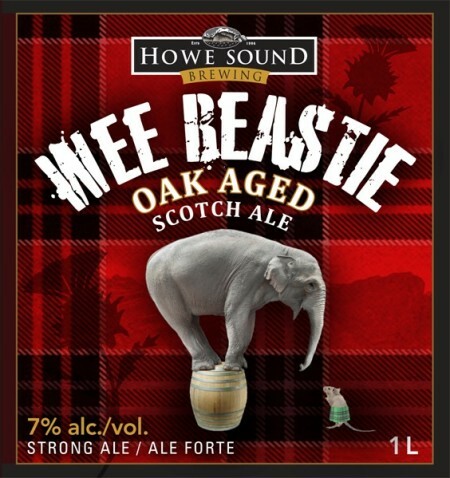 scotch ale on a tartan background, but I feel like their choice of labels lacks an overarching vision. 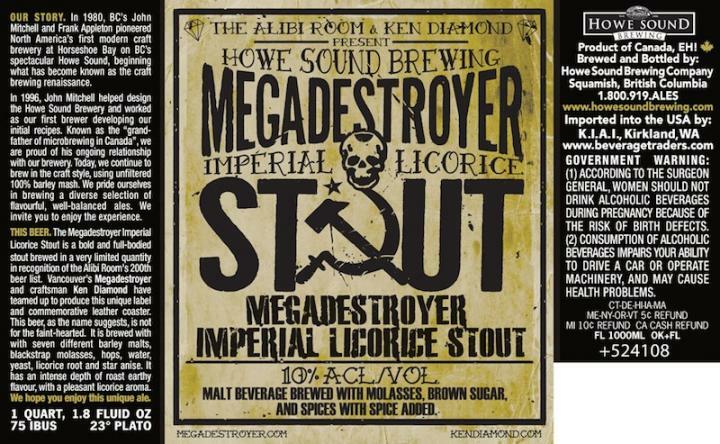 That being said I think the Mega Destroyer label really nailed the spirit of the beer within. Okay so personal preference here but Parallel 49’s whole cartoon-ish Sailor Jerry carnival theme just does not work for me; however, I can appreciate that they have obviously put some serious thought into the aesthetic they want to present to consumers. It feels very lighthearted like you should never take the beer inside too seriously. 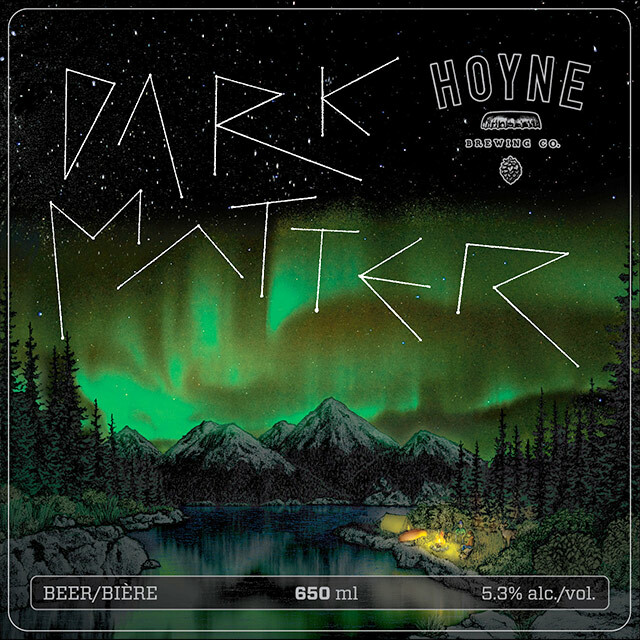 Far and away my favourite beer labels come from Hoyne Brewing Co. 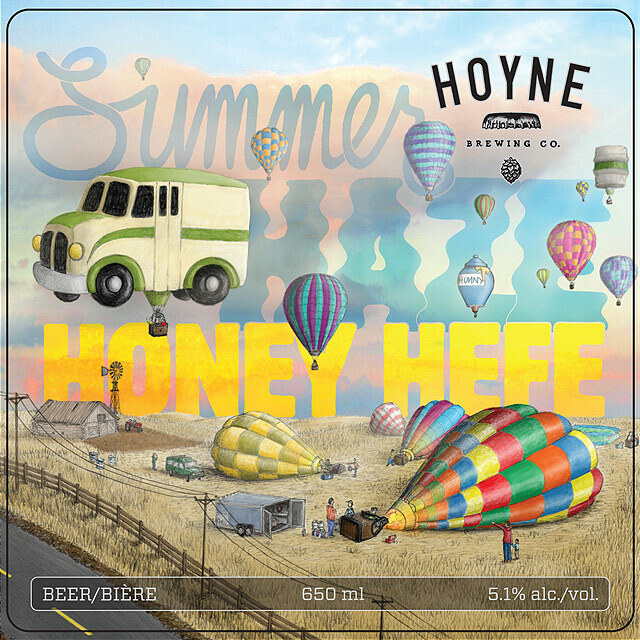 Artistic and playful but never derivative, Hoyne manages to walk that elusive balance between too much of any one thing while maintaining a core imagery that still lets the consumer know this is a Hoyne beer. The tie to the beer is subtle but present. Great colours, great lay outs, great use of fonts, great job! 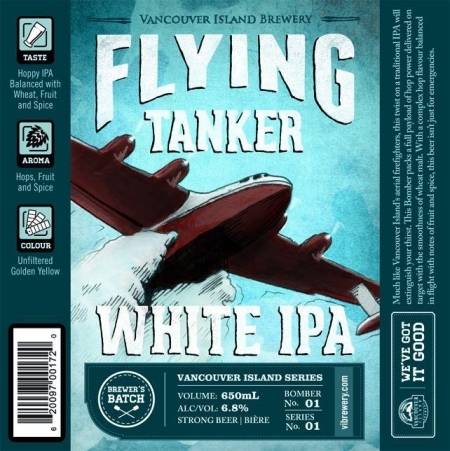 Vancouver Island Brewery has one of those label campaigns that feels a bit like we’ve been there and done that in terms of the graphics (a little bit Driftwood and a little bit Phillips). 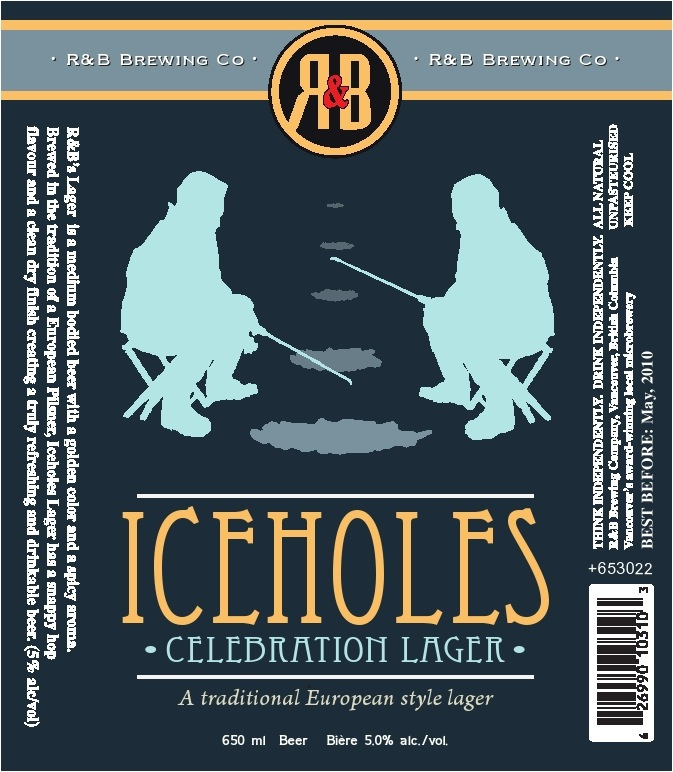 At the same time I do like their layouts, colour choices and the way they provide information on the beer inside. VIB always employs colours that embody the beer within i.e. 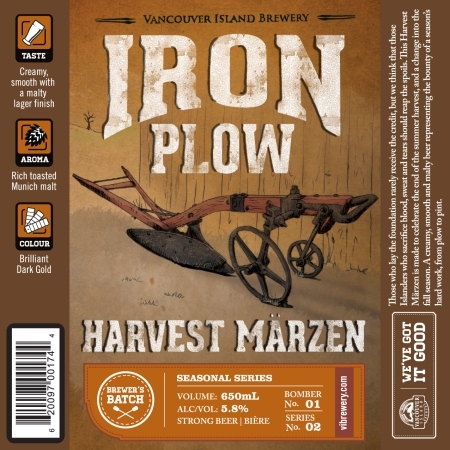 Marzen with rich, fall tones. The Christmas label still creeps me out though. Russell Brewing Company has often opted for the no-label label with their specialty and/or beers in a way that I think works very, very well. In particular, the Blood Alley Bitter and the Russian Imperial Stout are a couple of the best bottles out there showing a great use of font, placement and negative space to create memorable bottles. I feel like the aesthetic choices they make really marry the beer styles within. 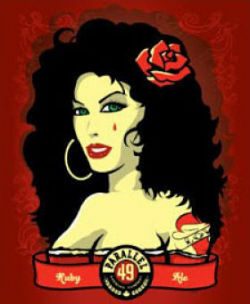 Black Christmas from Parallel 49 Brewing a 6.5% Christmas Dark Ale (CDA). Black Christmas is deep coffee brown colour with a hint of red. It has good clarity and subtle cream coloured lacing with just a skim of head. There is a resiny hop forward nose on this CDA. First sip is a bit bitter and it feels kind of thin. As you drink this ale continues to be pretty light bodied but you get a nice hoppiness balanced by some roasted malt taste. The finish also echoes the hops in this ale being a bit dry and bitter. 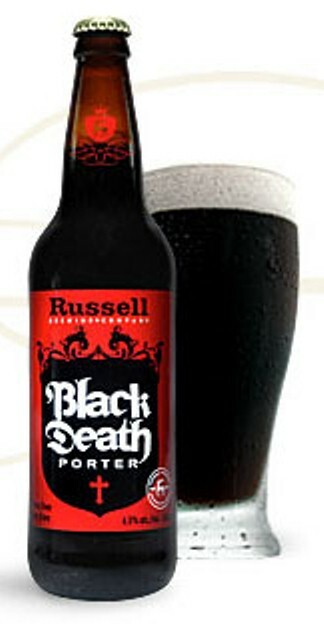 Overall I do not get a lot of seasonal tastes from this dark ale but it is quite drinkable nonetheless. These reviews are tougher for me since as a dark ale I like Black Christmas but would I recommend this over other Christmas seasonals, probably not. I am giving six candy canes out of a possible ten. 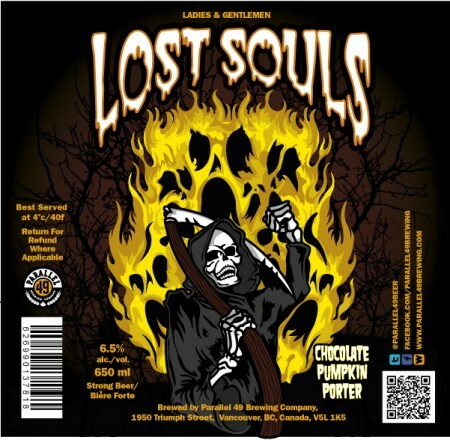 The fifteenth beer in my pumpkin serial is Lost Souls Chocolate Pumpkin Porter from Parallel 49 Brewing Company. Lost Souls pours a dark black brown with lots of thick mocha coloured head but the head retention on this one is only so-so. There is a lot of chocolate and a sweet maltiness on the nose. The porter is light bodied for the style but retains lots of roasted malt and chocolate flavour, which give the impression of being heavier and stronger than it actually is (6.5% ABV). The richness of the flavour continues to the finish and you also get a little bit of ginger. Lost Souls warms well letting the spices emerge, if only slightly. Like the other dark beers that tried to take on pumpkin or pumpkin pie I find that you go looking for the ‘pumpkiness’ in this beer rather than having the pumpkin jump out at you. Lost Souls is a nice porter regardless of it being pumpkin infused but as a pumpkin beer stacked against it’s brethren I give this one seven candy corns out of a possible ten. Time for something a little different from the denizens of doing beers that are a little different Schadenfreude from Parallel 49 Brewing Company. Before I get into the details of this one I have to say I love these little bottles and I am a big fan of the beer name, shameful joy, a prefect fit! Schadenfreude pours a very clear orange with a little white head. 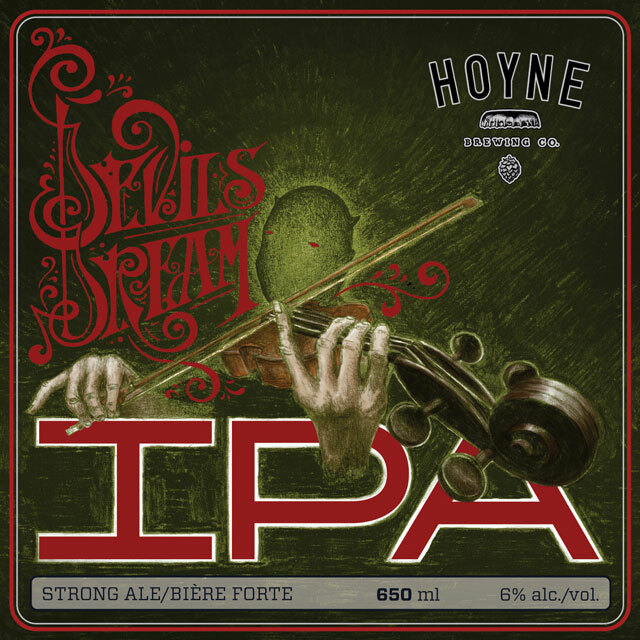 There is sweet malt on the nose and this rich sweet character continues through to the finish. Flavour wise this one reminds me of marzipan; there is a slight density almost chewiness to the mouthfeel and the malt has a carmelized quality. 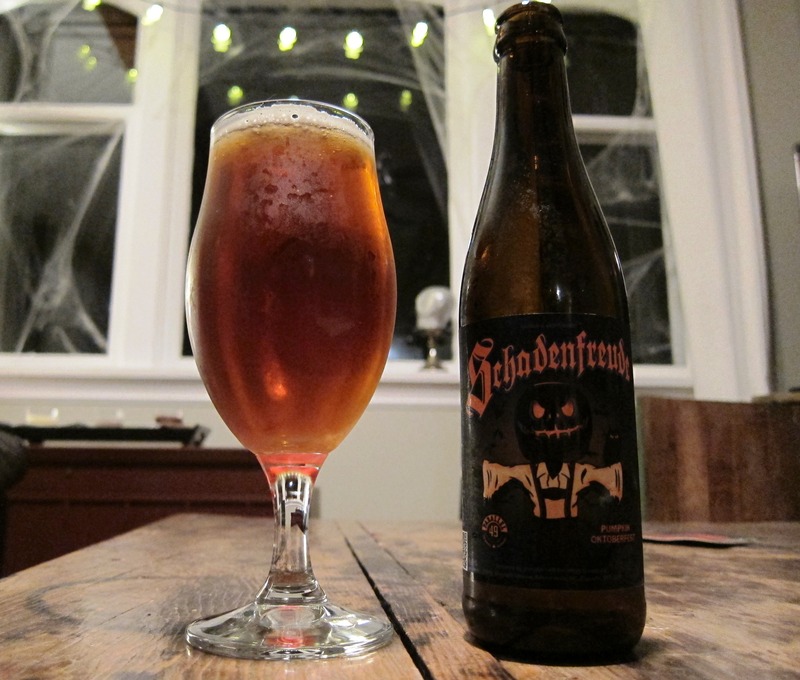 Schadenfreude is pretty light bodied but the flavours make this seem more substantive. The finish is also sweet with a roasted or burnt caramel/toffee taste. How the pumpkin factors in is not immediately apparent to me but style wise I like their take on an Oktoberfest and I think it could complement other pumpkin ales quite well. So for those of you looking for something else this Halloween I can’t recommend Schadenfreude enough. Overall I give this one nine candy corns out of a possible ten. Do you like Hoses? I mean really like Hoses? 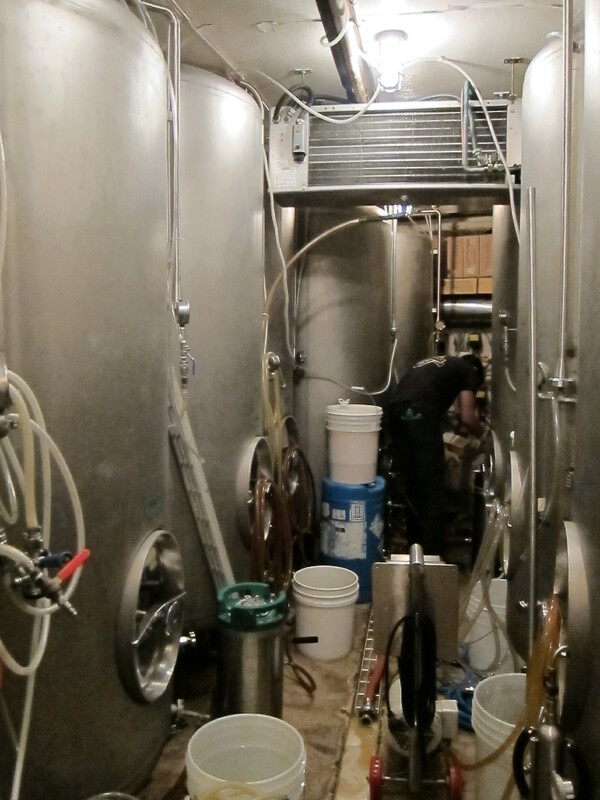 Last Thursday I got to live out every beer geek’s dream of being a brewmaster for the day. In actuality sub-assistant brew lackey might be a more accurate descriptor of the utilization of my talents but this does not mean I did not have a great time helping out at Steamworks Brewing Co. on a brew day! 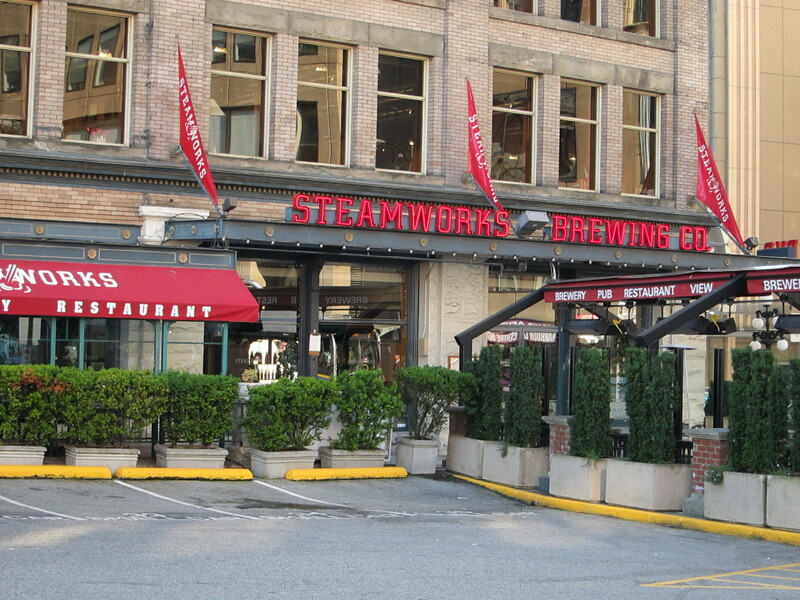 Steamworks Brewing Co. is located in historic Gastown Vancouver, BC. 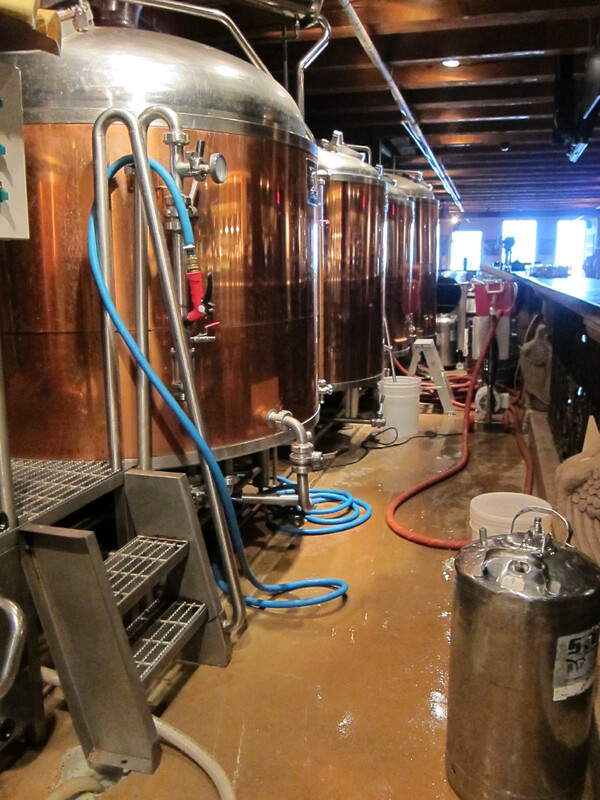 The brewery derives its’ name from the steam heating system running through the building. According to their website, Steamworks is the only steam generated brewery in Canada. 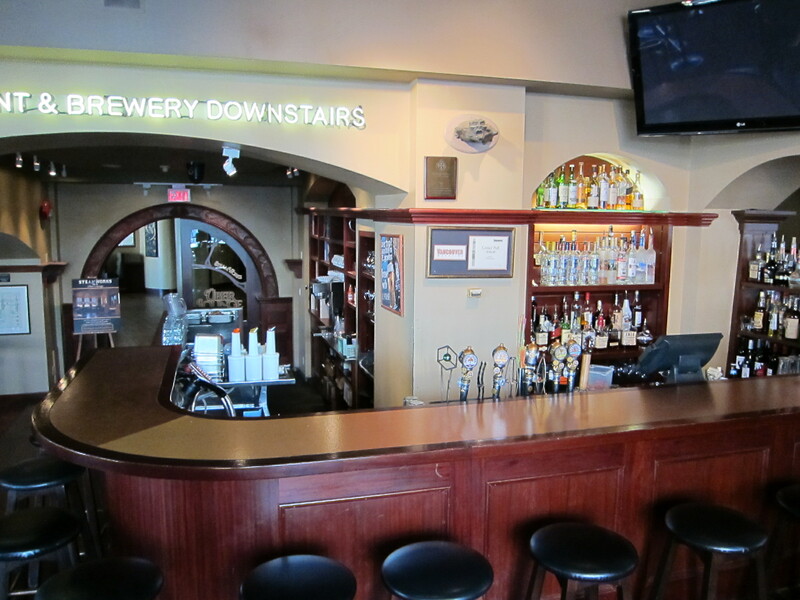 The brewpub, liqour store and brewery are all located in one beautiful old building. For those of you who have not ventured beyond the pub the brewery, located downstairs, is a mostly open concept layout where patrons can watch (and take pictures of) the beer masters in action. There are a total of five bars within the facility. In order to keep up with demand, and the new bottling production, some Steamworks beer (pilsner and pale ale) is brewed off-site by Deadfrog Brewery and brought in for consumption; Deadfrog is currently handling the bottling operations but plans are underway to open a Steamworks off-site brewing and bottling facility. 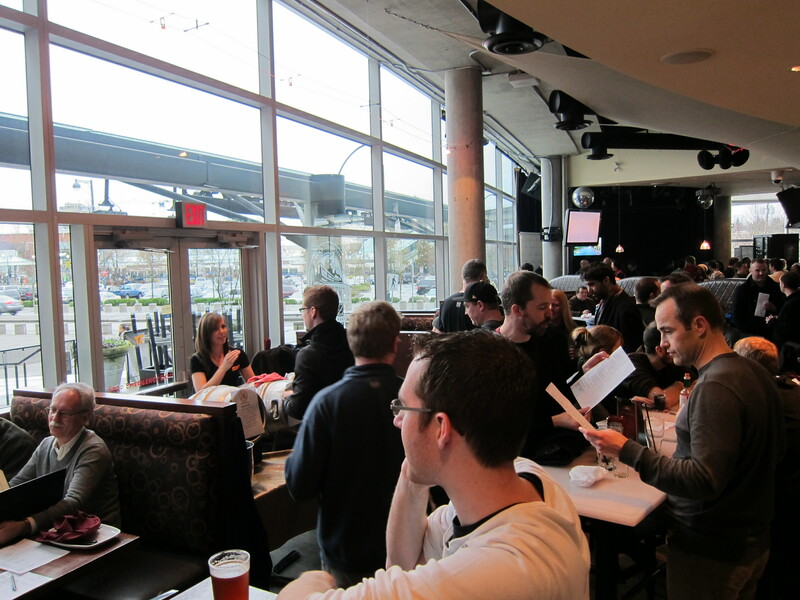 Steamworks is a little more mainstream and a little less beer geek than some of Vancouver’s downtown beer sites. Much of the beer production focuses on accessible brews like lager and pale ale, which sell well in a tourist heavy location. 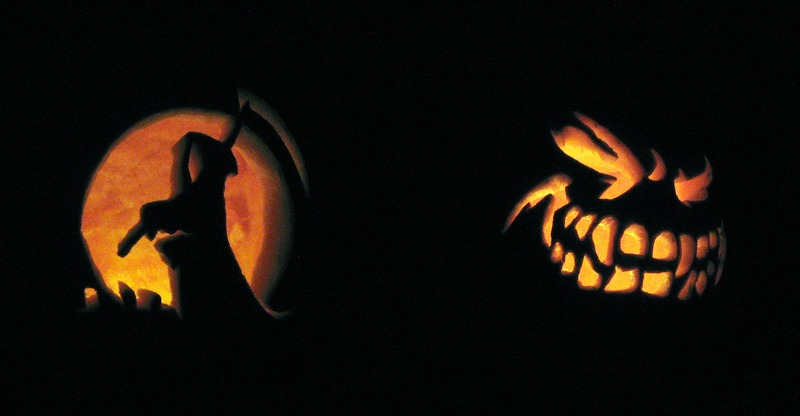 At the same time, Steamworks has a much-deserved reputation for a stellar seasonal line-up from their Frambozen to their Pumpkin to their JJ Bean Espresso Stout. Within the standard beer line-up the brewers like to mix things up trying different hop in the IPA or different coffee beans in the stout so batch-to-batch you are not always getting the exact same beer. Food-wise there is not too much remarkable here, pub basics really, but the helpful staff did create an impromptu vegan pizza so I could keep up my keg-hauling strength. 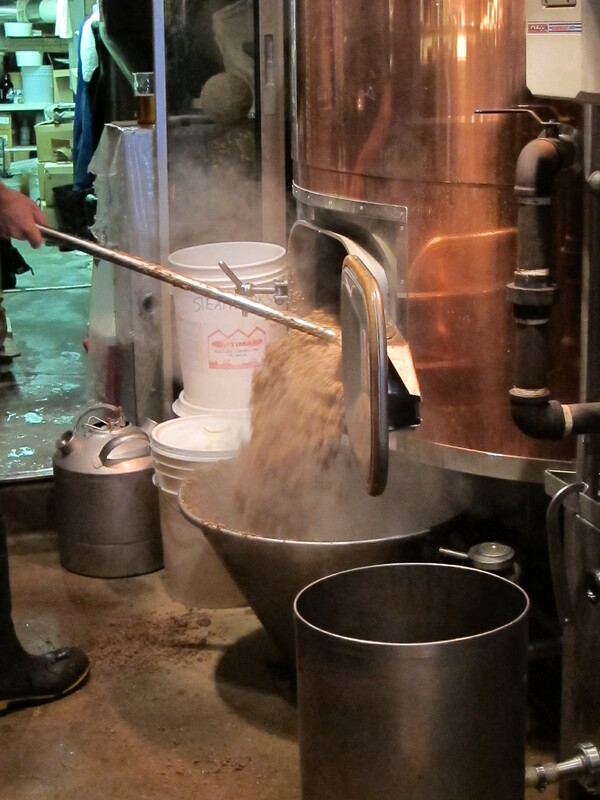 Conrad is the head brewer for Steamworks and he has been working at the brewery since 1996. Initially Conrad was studying to be an architect before taking that fateful turn towards beer geekery. 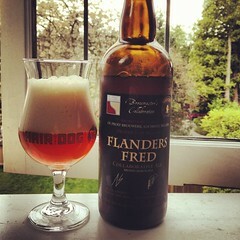 Beer wise Conrad is a Belgian and Saison kind of guy. Tak is the assistant brewer and he has been with Steamworks for seven months. Tak was (and still is!) 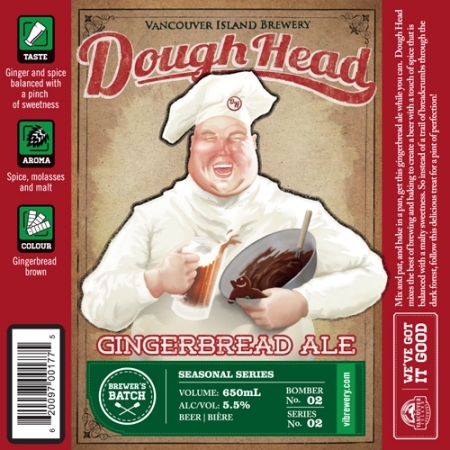 and avid home brewer who came to the job via a recommendation from Parallel 49 head brewer Graham With. Tak’s beers of choice lean towards sessional brews and Bitters. Both guys tell me how lucky they are to do what they love for a living, which to me is the greatest compliment one can ever bestow upon their chosen career path. As some of you may have heard Conrad will be leaving Steamworks soon to open Vancouver’s newest brewery, Brass Tacks, with Nigel from Alibi Room. This new brewery will be located near The Whip on Main Street and will be offering growler fill-up. This should be a great collaboration and I can’t wait to try them out when they open. Much like a “regular” person’s work day the brew day got underway around 9:00am. 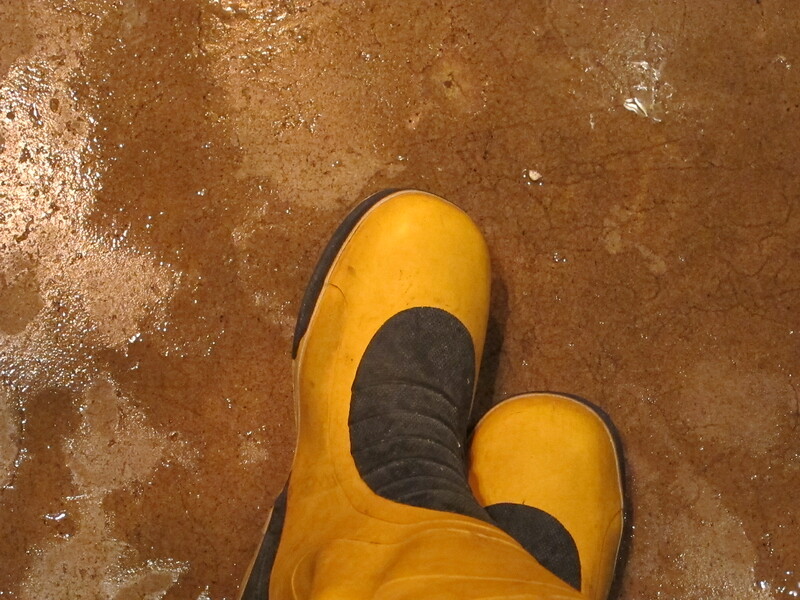 I was pleasantly surprised to find out I was not going to be relegated to the side-lines when I was handed my uniform of safety goggles, rubber gloves and galoshes. 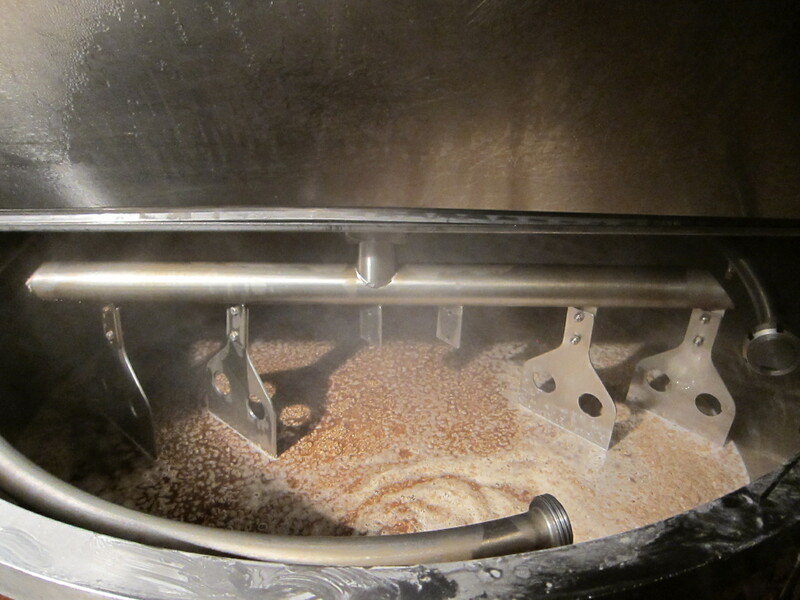 Literally I was able to watch or participate in every stage of the brewing process from adding milled grains to the mash tun to sparging to adding hops to the kettle to pitching the yeast. 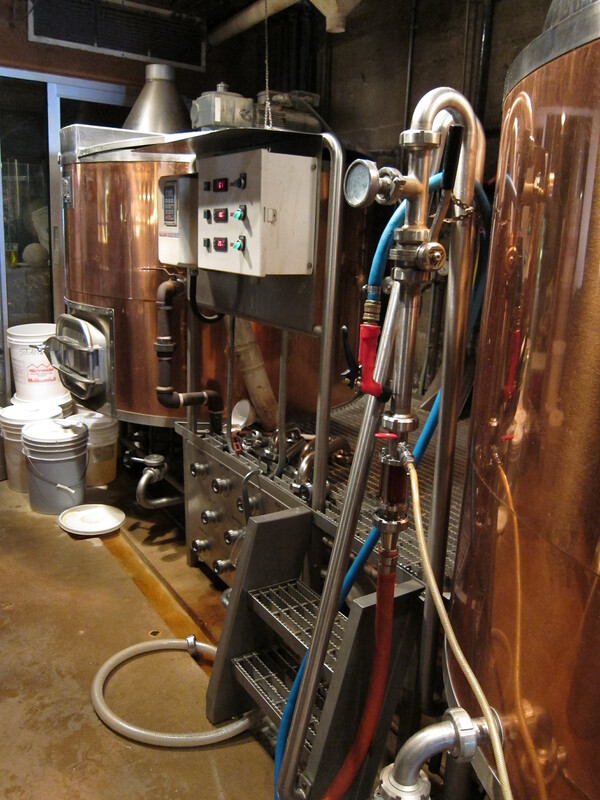 We began by transferring beer and cleaning equipment in preparation to brew Steamworks Nut Brown Ale. As my blog title suggests navigating around hoses, attaching and detaching hoses, spraying water and any other reasons you can think of for needing a hose pretty much define your day. Overall I was surprised by how routine the day actually was. For some reason I expected more unpredictability in the brewing process but things ran like clock-work. The fun(?) happens when life outside the brewing process seeps into your day. When I got to Steamworks Tak mentioned they had received a pallet of Parallel 49’s brewing supplies in error so part of my time was spent moving product through the service corridors so it could get back to the proper brewery. Also, Thursday night was the official launch of Steamworks new bottles so I assisted with carting around kegs to the various tasting stations for the evening’s attendees. Other tough aspects of the job including sampling beer with lunch, and after lunch, to ensure the best possible quality control levels. 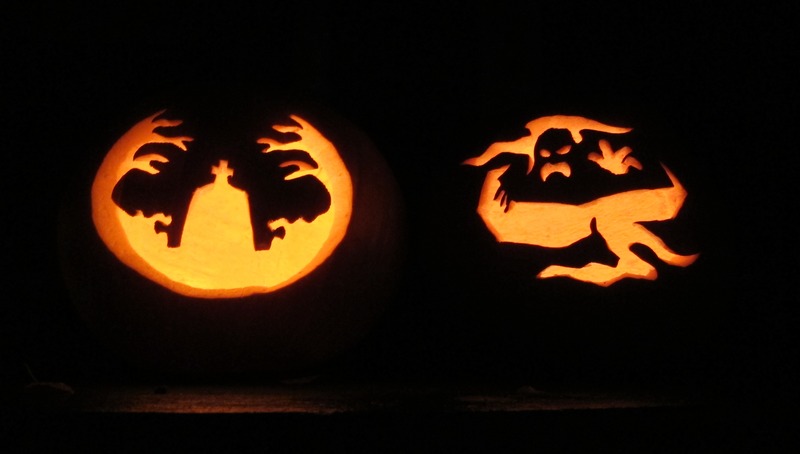 Based on my expert analysis, it looks like a great year for the espresso stout and the pumpkin ale both of which are coming on tap soon. A great big thanks to Conrad and Tak for allowing me to be a part of their day! The more you delve into the world of craft beer (i.e. 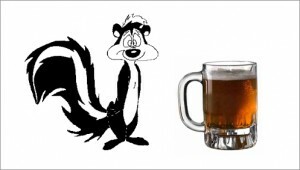 the more you drink) the more familiar you become with the spectrum of styles and tastes out there in the beer world. Some tastes are good and some not so good and then every once in a while, when a blue moon rises, the magnetic poles reverse, and your house plants die, you get something a little …well …off. Not off in the way I sometimes feel like my hop heavy beers taste like lilac soap but off in the way that your beer smells and tastes like rotting vegetables or rubbing alcohol. 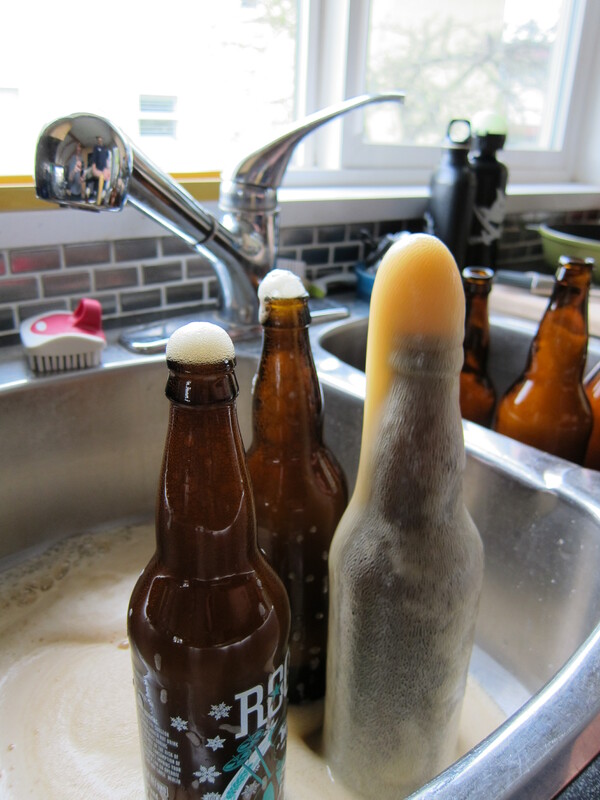 Before I took my home brewing course I would have merely written off said ales as crappy beer but now I realize that when things go wrong in the brewing process there a specific chemical changes that result in your beer tasting ‘off’. For those beer drinkers who have not yet transitioned into beer brewers (just you wait, you will get there soon enough) there exist off-flavour kits, which allow you to intentionally contaminate your brew. Yes, I know, I have officially reached Level 8 Beer Geek when I seek out spoiled brew but this can be an amazingly educational endeavour that actually enhances your overall beer drinking lifestyle. Ever send back a beer in a pub? Me neither, mostly because I could not really articulate what was wrong. Think this type of liquid insecurity ever happens to wine geeks with their uber-sophisticated terminology? No, it does not. Wine geeks can send back a glass with the best of them. 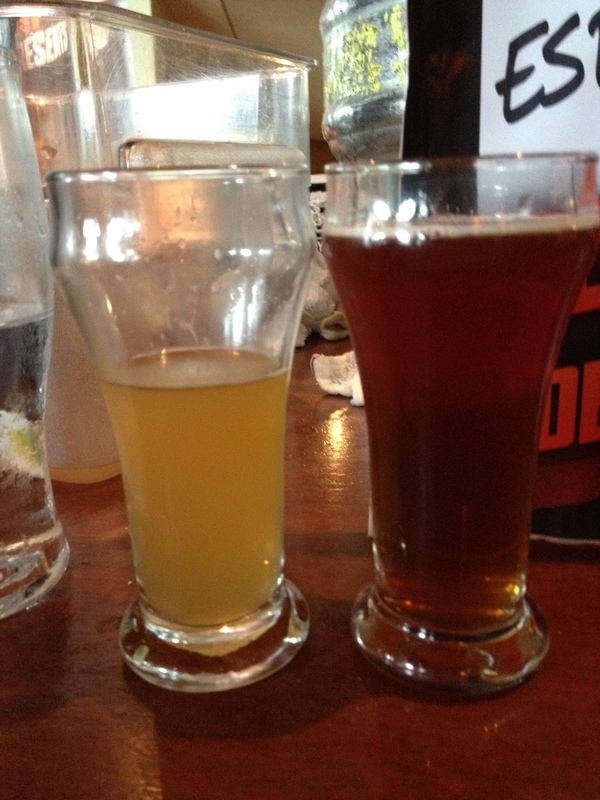 So what are we afraid of beer geeks, get your geek on and learn to embrace the uglier side of beer. That diatribe segues nicely into my recent participation at Legacy Liqour Store’s ‘Off-Flavour’ Beer Tasting (luckily not a beer pairing). 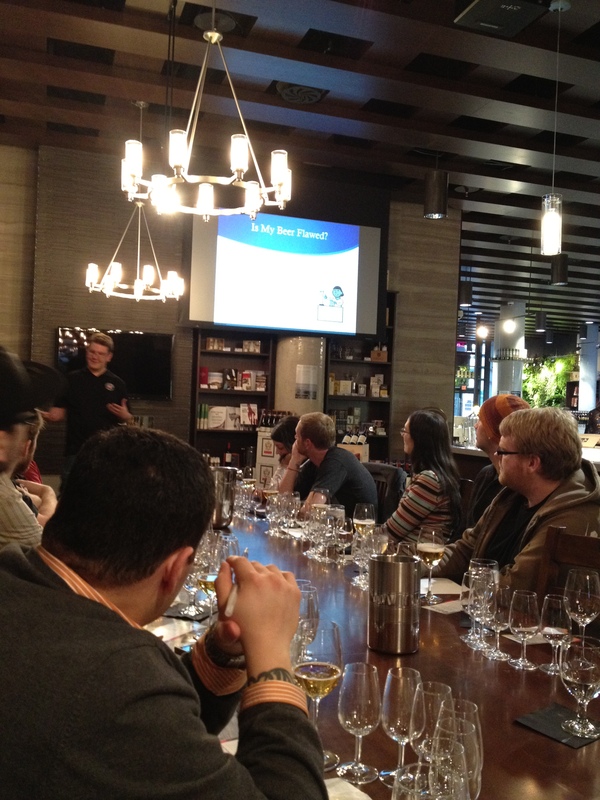 Graham With from Parallel 49 Brewing was our instructor, and the ever insipid Coors Light was our unfortunate guinea pig. Opting to ease us in with samples of seven potential off-flavours, instead of the palate destroying twenty-one off-flavour kit, we got one control glass of Coors for comparison and then quickly work our way through the seven deadly beer sins. OFF FLAVOUR CHEMICAL NAME TASTING NOTES WHAT WENT WRONG? I found this to be a really great opportunity to taste some of the things that can go wrong with beer. Some of the off-flavours were hard to pin point for me but generally it was pretty darn easy to tell when something was wrong. Most often the nose was a dead giveaway with some of the beers becoming so pungent you could barely drink them! Coors Light never tasted better than it did at the end of this evening. One thing that I wanted to ask about was visual changes produced through any of this chemical missteps but the set-up was not very conducive to getting any sense of dialogue going. I really wish this had taken place in a smaller venue where you could get a sense of what your table-mates were tasting/smelling as well. 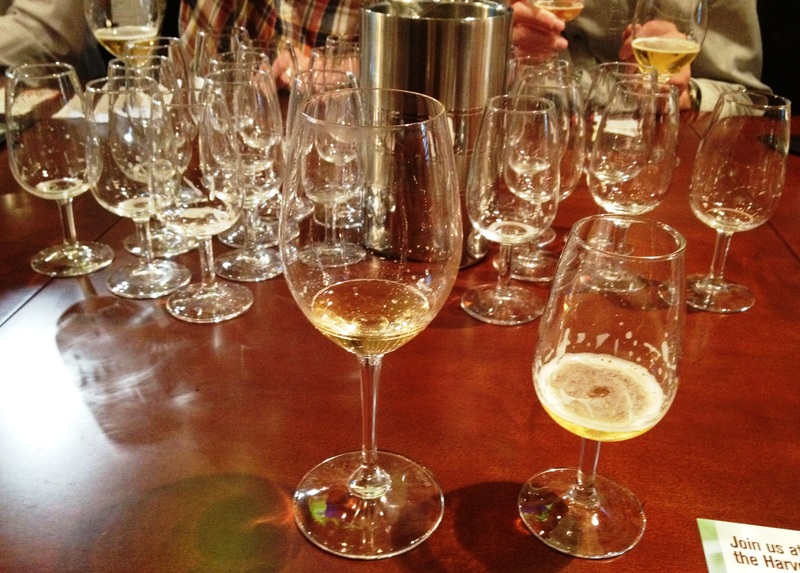 I also wish we had taken a bit more time to go over the different off-flavours, the whole tasting felt hurried. Another issue for me was how applicable this knowledge will be to craft beers, which generally differ significantly in flavour profile from Coors; could I discern green apple in a robust stout or a triple? Will the medicinal qualities of a double IPA negate any canned veg? Nonetheless, very worthwhile event and I think I may just purchase myself one of these kits and replicate the evening with a smaller group of dedicated (and brave)beer geeks. Hi, my name is Sara, long-time patron, first time volunteer. 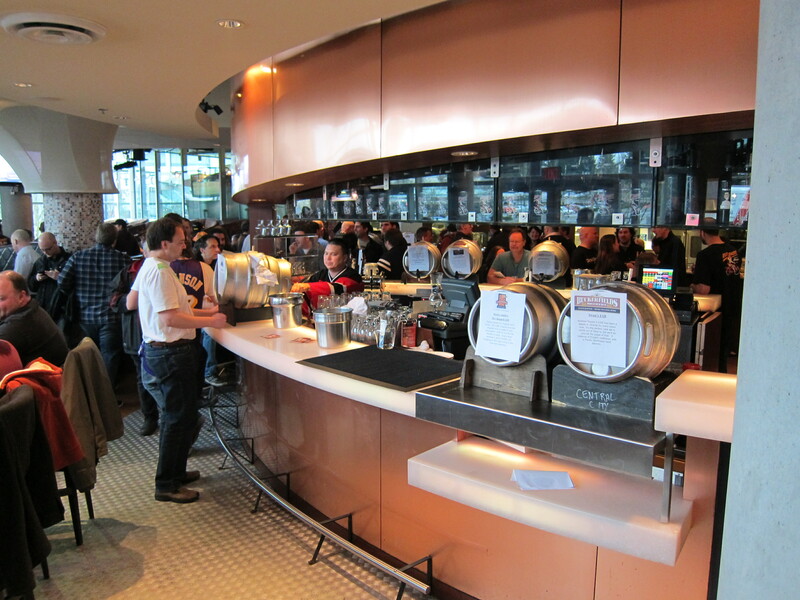 Yesterday I attended Central City Brewing’s Winter Cask Festival and for the first time ever I took up post behind the keg as a volunteer server. My partner and I headed over to Central City a bit early to sample a few of the casks before our shifts started. 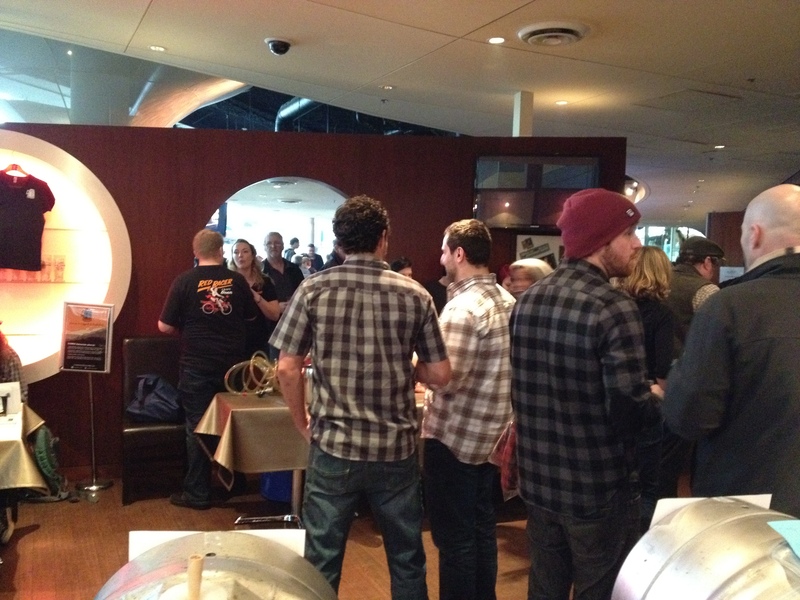 Nice turnout of local, BC and Washington State brewers with casks coming from Central City (of course), Storm, Tofino Brewing, Parallel 49, Cannery, Salt Spring Brewing, Spinnakers, Port Townsend and Boundary Bay just to name a few. Central City was packed to rafters with every conceivable inch of space taken up by a beer geek, a table of beer geeks or a row of kegs and a server. Beers were mapped out by style in small stations circling the pub. One of the great things about beer fests is they afford brewers a chance to try something really creative in a relatively small sample; for instance, Parallel 49 offered a Campfire Smores Stout, Spinnakers had a Peppercorn Saison and Canoe an Asian Fusion Pale Ale. As a patron it is fun to try some of these more challenging flavour combinations in a small pour instead of committing to a whole pint or god-forbid an entire six pack. 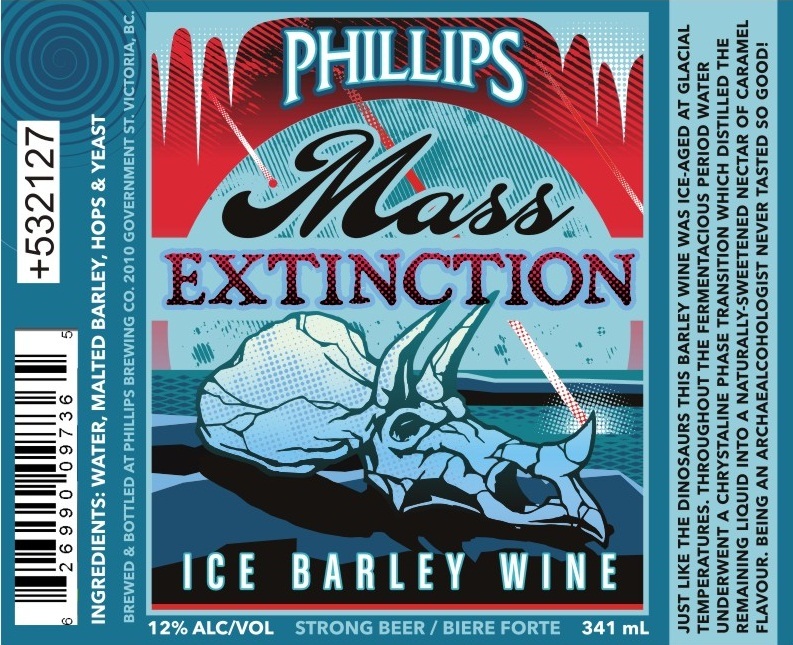 Often these out-there beers are something I would only want in a small sample as they probably wouldn’t make their way into my regular rotation. 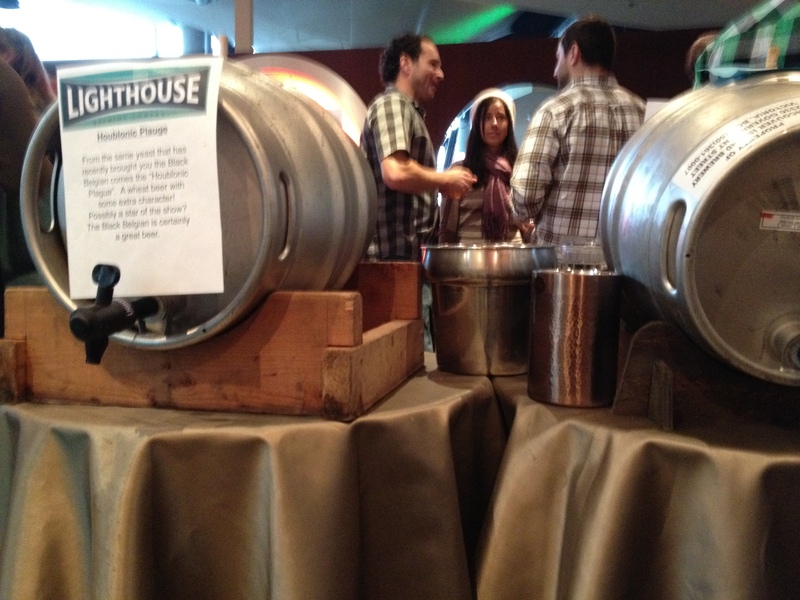 Some of the stand-outs for me were Tofino Brewing’s Bourbon Coffee Porter, Russell’s JD Barrel Aged Scotch Ale, Canoe’s Asian Fusion Pale Ale (think ginger and pear), Lighthouse Houblonic Plague and for something clean and easy on the palate Steamworks Pilsner. So will I be offering up my skills as a beer server at another beer fest? Absolutely. It was so much fun being behind the scenes chatting with brewers, servers and fellow beer geeks. The volunteers were treated very well by the folks at Central City, we were fed, given t-shirts, admission and tokens. 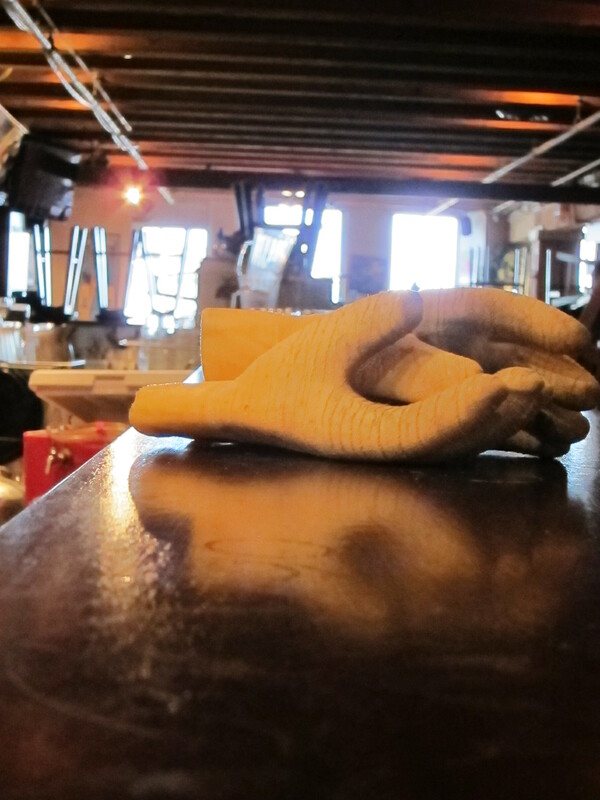 Everybody seemed to be having a really good time, which made the 3.5 hour shift fly by in no time. Working the keg allowed me to gleam invaluable on-fly-assessments of the different beers as well as being to privy to opinions on everything from the best place to shop for beer cross-border, how to open a new brewery, fashion advice and everything in between. In the same way that brewing your own beer only heightens your appreciation for the craft, I would highly recommend that every beer enthusiast tries their hand at working the taps at least once it really does give you an entirely different perspective on how beer fests are organized and run. Cheers to the folks at Central City for a great event!